What Does it Really Mean to Love Well, Live Jesus, and Believe Big? 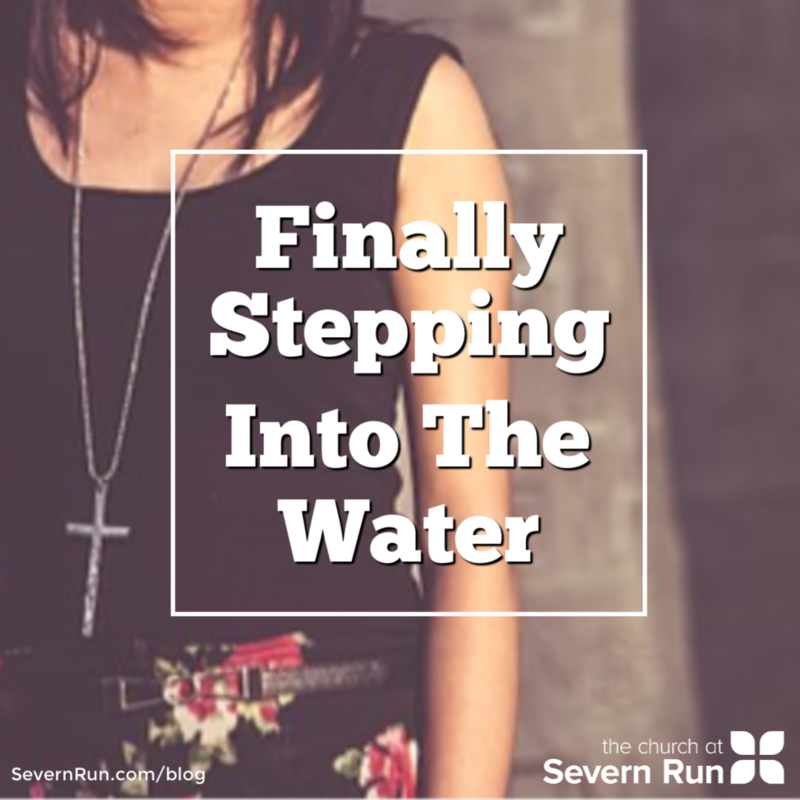 For our local Severn Runners who attend, it’s something that we literally say every Sunday, and it’s probably safe to say that you believe big in this statement. But, have you ever stopped for a minute and thought about what you’re committing yourself to doing by voicing these few, simple words? If you’re like me (before I started writing this), then you probably hadn’t given it much thought. But don’t worry, that’s okay. I’m here to help. Let’s break these three short sentences down so that we can fully understand the heart behind one of Severn Run’s biggest beliefs. So, if that’s what love should be, then how do we know when we’re doing it well? The answer is right in front of our noses. We must love exactly how Paul said. We must be patient, we must be kind. We must love without envying, boasting, or letting ourselves become prideful. We don’t remind people of the wrongs they’ve committed against us; we forgive. We rejoice in the truth, refrain from anger, always hope, and always persevere. We get that no one will be able to do all those things above, all the time. We know that we will mess up. But, we also know it’s totally possible to love well. And we know that we are loving well if we are loving as described above, even when it’s hardest to do so. There are times when we find that love comes easy – when we first get married, when a child is born, or when someone does something very thoughtful for us. But, what about those other times when loving doesn’t come quite so naturally? What about after years of marriage, when you feel that ‘they’ never notice anything you do for them, or when your child repeatedly disobeys your rules and tells you you’re ruining their life? What about those times where you don’t feel loved yourself? And don’t forget that co-worker who always parks in your spot at work, and generally thrives off making your life miserable every single day? How could you possibly love well then? …for God so loved the world! And THAT is exactly how you love well. You love, as a parent loves their child, and you do it for all people, all the time, even when most you meet will never even deserve it. You love when it’s hard, and you love no matter what. No one ever said that it would be easy, but after all, when you say the words at the end of service, you are making a commitment to do it. So, are you ready to love well? This one can sound a bit daunting, right? After all, how do we ever expect to live like Jesus lived? He was God after all. In a sense that’s kind of like cheating, isn’t it? Well, for starters, let’s just accept the fact that he was God, and we’re not. I think we can all agree on that. Since we’re not God, we’re going to make mistakes. And that’s OK. I know, I know…breathe. You’re going to get through this. Are you still with me? Our humanity is an issue that we’re never going to get rid of, and as long as we can accept that (making sure to not use it as a crutch), then we’re going to be better off. And the good thing is, God gave us an example for how to act: Jesus. Jesus was and is the perfect example for us to follow. We all know that Jesus came to Earth to live as a man and die for our sins so that we would no longer be eternally separated from God. But, have you ever wondered if he was also sent here to live just like us so that he could bridge the gap that made it difficult for us to relate with our supernatural Heavenly Father? He was sent here to Earth to experience real human problems so that we could look to see how he solved them. He lived as an ordinary man so that we could have a realistic example of how we should behave, and so we could see what we should do. This is exactly what ‘living Jesus’ really is. It’s emulating the way that Jesus acted, using the words that Jesus used, and trusting the Father as Jesus trusted him. And the main thing is, being out on the road like Jesus was. Jesus was always out on the road, traveling from town to town, and meeting people where they were. He didn’t sit in a church and wait for the masses to come to him. He walked out among common people – sinners even – and spent personal time with them. Jesus associated himself with tax collectors, prostitutes, and the sick and diseased, among others, because those were the people who needed him. Jesus was trying to tell the religious leaders what he wanted. He told them ‘I desire mercy, not sacrifice.’ The religious rules of the day were meant to restrict people’s lives, and these people spent much of their time ‘sacrificing’ this or that so that they would somehow earn their way to heaven. But, all Jesus wanted was for them to show mercy to the broken that they came into contact with. And that is exactly what he wants from us. In order to ‘live Jesus’, we need to be merciful towards all, and we need to love with everything we have. After all, we are ALL broken, and we all need mercy and love. Jesus showed both to us, and he therefore commands us to do the same to others. It seems that ‘loving well’ and ‘living Jesus’ aren’t so very different, are they? By loving well, you are in fact living Jesus! It’s not as impossible as you might think, after all. But it does require being intentional. Are you up to the task? Many times throughout the New Testament, we see the disciples constantly doubting God. While that was not always the case, it seems strange to think that those who were closest to Jesus - that those who saw him perform miracle after miracle still had times of doubt. So, it’s easy to think about how much harder we have it because we haven’t seen Jesus firsthand. That is, we haven’t seen him in the tangible way that the disciples did. And it can be quite normal to feel defeated in our faith at times. With the craziness of life, and all the bad things that happen in the world around us, it can be easy to have a faith that seems small and boxed in. And this scenario was repeated throughout Jesus’ life. Now, I know what you’re thinking. You’re thinking, Ok, so I can move mountains if only I have enough faith, so how the heck do I get to a faith that’s even mustard seed sized? Well I’m glad you asked, but I think you’re asking the wrong question. The question should never be how much, but in whom. Go back to the passage I shared above, Matthew 17:14-21. Jesus told the disciples that they did not have faith, at all, and that is why they could not cast out the demon. Pretty crazy to think that the disciples had like ZERO faith. After all, they were the disciples! But, don’t get discouraged just yet. What Jesus said next is actually very comforting, depending on how you interpret it. He said, “Truly I tell you, if you have faith as small as a mustard seed, you can say to this mountain. ‘Move from here to there,’ and it will move.” It seems like a rather bold statement, but in fact it’s quite the opposite. He says that all we need is just the tiniest bit of faith, and we can do the impossible – we can move mountains. And again, we’re not literally talking about reshaping the Earth, we’re talking about doing things that only God could do. So, if we interpret it in this way, then just a tiny bit of faith in a God who can move mountains, means that we can accomplish things beyond anything we could have ever imagined that we could have done on our own. That’s seems pretty cool, right? The main point here is that it’s not about the quantity of our faith, but it’s about who we are placing it in. We have a God of the impossible. He can do anything, and all we have to do is place our faith in him, dare to dream a little, and believe big that God can do it. God doesn’t promise that we will be rich or live in a castle, and in fact is says explicitly in the Bible that’s not the case. And in line with that, we have to be sure where we are placing our faith, and for what reason. I don’t believe that no matter how much we believe that we will win the lottery will actually have any effect on our (slim) chances of that happening, because we are not basing our belief on God’s word. In order to believe big, you have to align yourself with scripture, pray about it, and make sure that you are believing our God can use you in big ways for his will. That is what believing big really is. It’s a belief without limitations, trusting wholly in God, and committing yourself to follow through with whatever it is that he tells you to do. And, you have to follow through. God works through the people who trust in him. That might feel a little bit like moving mountains to you, but I promise God’s up to the task. Are you? Hopefully the next time you’re at church and those familiar words come drifting your way, this time you’ll be able to say them knowing full well what they mean and be fully committed to living them out in your life. And if you don’t attend Severn Run, then perhaps these are a few simple sentences that you can incorporate into your life that will allow a whole lot more meaning and intention to your daily routine. The bottom line is, no matter where you are, and no matter what you were doing before right now, know that Jesus cheering you on, excited to see what amazing things that you will do for his kingdom if you simply commit to love well, live Jesus, and believe big!